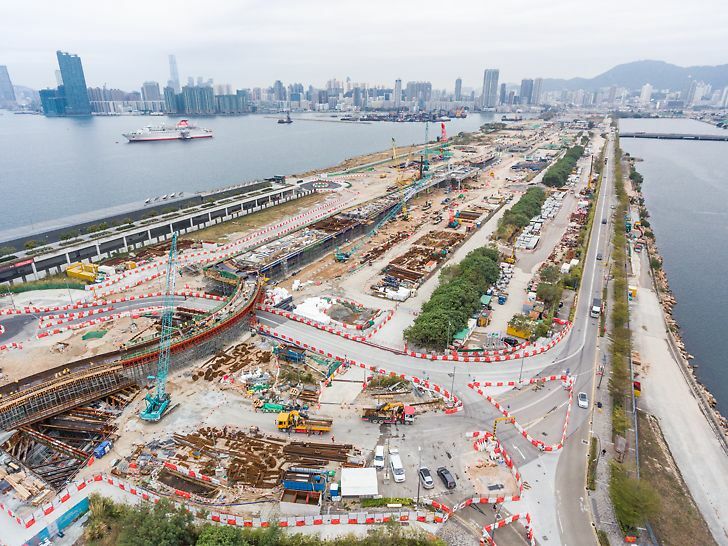 Kai Tak Development is transforming Kai Tak from an old airport to Hong Kong's single largest urben development of approximately 323 hectares. 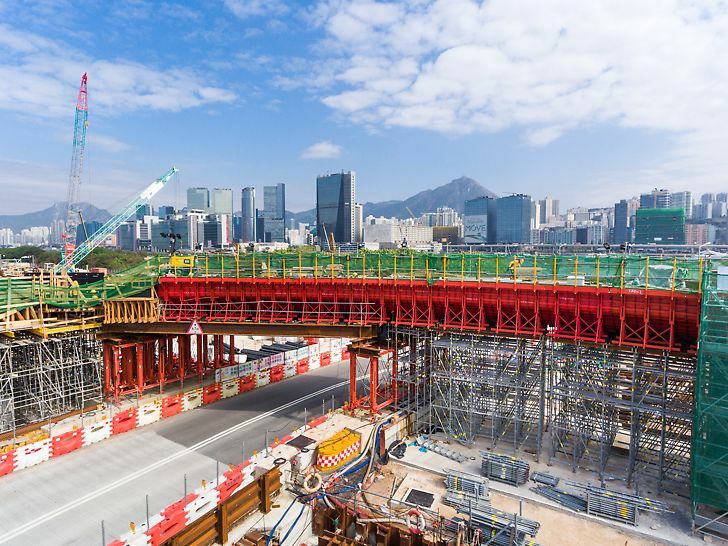 Alongside with the cruise termincal and sports complex, a 1.2 km long elevated walkway is being constructed to enhance the accessibility between Kai Tak and surrounding urban districts. 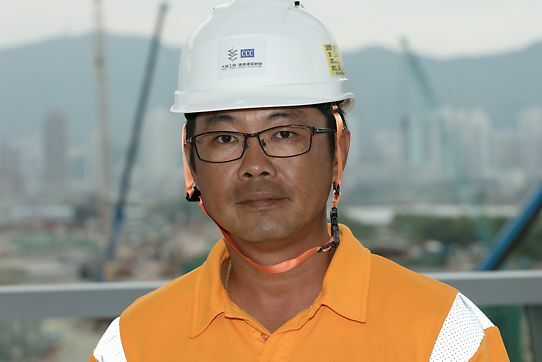 The system is highly versatile, accompanied with round-the-clock technical supports from the engineering team, we are delighted to work with PERI on this remarkable project in building a better Kai Tak. 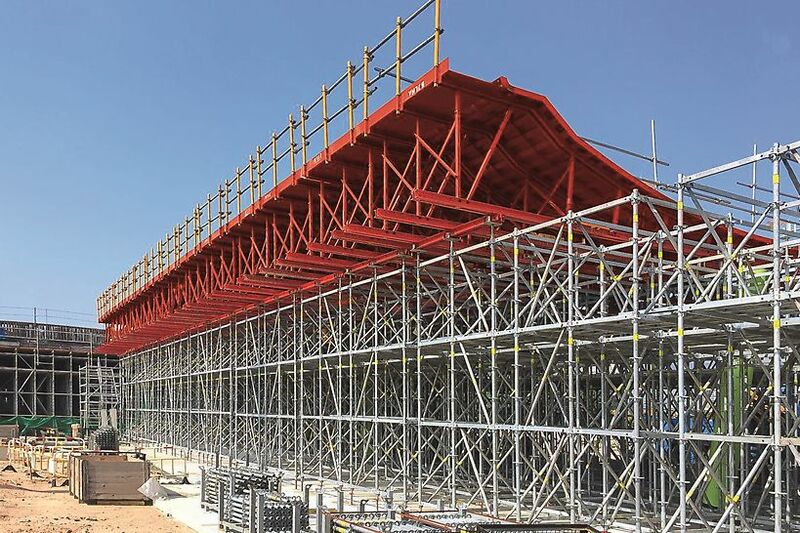 PERI designed and supplied 2 sets of 80m long customized radius steel formwork, integrating with PERI UP shoring system. 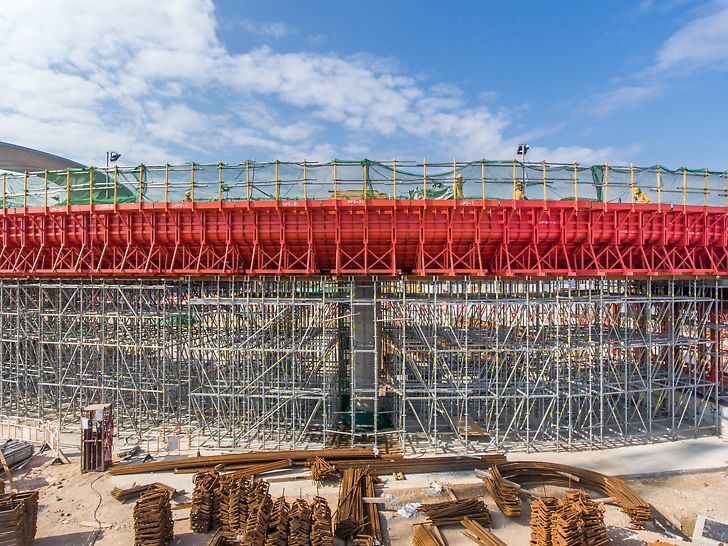 Detailed stripping and moving sequence, along with 3D falsework and formwork designs are provided to the JV, allowing the construction to be achieved in tight schedule. At the same time, PERI has designed heavy shoring for portal openings in falsework for a nearby link walkway.